We take pride in serving you HUGE subs made with the freshest bread, deli meats, cheese, and freshly sliced vegetables. Order one today! Let us prepare your menu for your special event. No party is too big, or too small! Starting at 4pm we offer drink specials and more! Come join us! We offer daily specials that won't hurt your pockets, and keep your bellies full! Our bar is always stocked and ready to serve you a cold beer, your favorite wine or mixed drink with your lunch or dinner. Whether you are going to have a business lunch, romantic candlelight dinner or just a drink after a busy day, dine in our Famous Bar 727 area with plenty of space. Welcome to the best pizza in the Utica – Yorkville area! At Venice Pizzeria, we are known for the best pizza – thin crust New York-style and hand-tossed. We are also known for our outrageously huge subs and therefore have been dubbed “Home of the King sized Subs”. 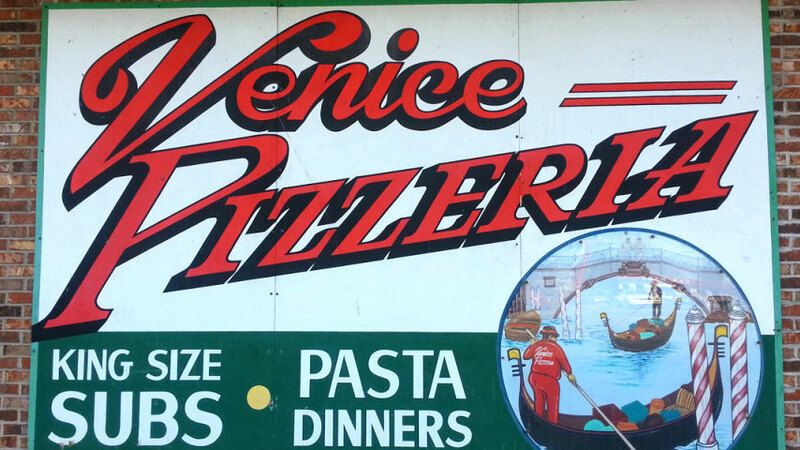 Venice Pizzeria has been serving hot pizzas and fine Italian foods for over 30 years. Our food and sauces are made fresh daily using the finest ingredients and Grande cheese. Our pizza is always fresh, hot and delicious with a variety of toppings and specialty pies. Come join us for lunch, dinner, or whenever you need to satisfy your hunger in our newly remodeled space. We also have a full bar and dine in area at our Famous 727 Bar right here at Venice Pizzeria in Yorkville, NY. Been coming here for many years, I can honestly say this place is always consistent in the taste of there food. The pizza reminds me of NYC PIZZA an the wings are the bomb. Why order the chain pizza thing, when u can get the real deal. If you’re driving through Yorkville and you love a thin crust pizza and great crispy chicken wings or an array of a lot of different other Italian food then this is the place to stop I am a pizza connoisseur and I definitely have this place on my top time 10.. Always a good experience here. Food is amazing (everything is huge and for little cost), they have a super friendly staff and it’s always neat and clean. There are always 4 tables or more full of happy, satisfied customers. Top notch!! 4 thumbs up, fine family fun! One of the best Italian Restaurants in the area. I highly recommend their pizza, calzones, and subs. You won’t be disappointed. My wife and I are semi-regulars. Good pizza, good riggies, great subs! You can’t go wrong with the Reubens either! One of my go-to lunch venues in the area! Pulled pork is so delicious. King sized subs are at least 2 meals for me! Great value! Venice has the best food all round! They have been around for years obviously because of the quality of food and great owners. Get to Venice for a Taste of Italy. Best place in the area for a calzone! I have never had another one like it. They have great flavor and texture and they reheat even better. Been around a long time for good reason. New York style think crust and Brooklyn Lager. Damn good! Riggies, Riggies, Riggies!!!! The BEST riggies out there. My fiancé and I rave over them. We always get medium with no mushrooms they are amazing every time and the side of garlic bread that comes with it is soooo good! Amazing food! !